Children in our elementary program get flashcards of Chinese characters each class. How to help them digest and practice these characters in class? One method we use is to make short plays with Chinese characters. 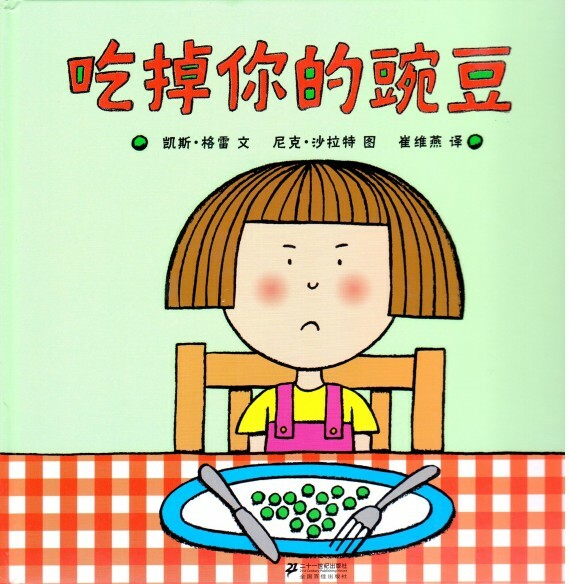 The following is an example of how we use the picture book 《吃掉你的豌豆》(Eat All Your Peas) to make short plays. In this cute story, the girl does not like eating peas. The mom bribes her with chocolate factories, ice creams, rockets, zoos, pets etc. The mom in the book says: “如果你吃掉豌豆，我可以给你买冰淇凌/ 巧克力工厂/ 火箭…… (If you finish all your peas, I can buy you the ice cream/ the chocolate factory/ the rocket…” And the girl replies: “我不要冰淇凌/ 巧克力工厂/ 火箭! 我不爱吃豌豆! (I do not want to have ice cream/ chocolate factory/ rocket. I do not like eating peas! )” Children learn the sentence pattern: “我不要……！我不爱吃豌豆！” (I do not want…! I do not love peas!) They also learn different objects appear in the book. Afterwards, they make a short play with their flashcards. The teacher plays the role of the mom, and the children play the role of the daughter. The teacher first says: “如果你吃掉豌豆，我可以给你买冰淇凌。 (If you finish your peas, I can buy you the ice cream.) ” The students then use their flashcards to make the sentence and say: “我不要冰淇凌! 我不爱吃豌豆! (I do not want to have ice cream. I do not like eating peas! )” The teacher then says: “如果你吃掉豌豆，我可以给你买巧克力工厂。(If you finish your peas, I can buy you the chocolate factory.” The children response both orally and with flashcards: “我不要巧克力工厂! 我不爱吃豌豆! (I do not want to have ice cream. I do not like eating peas! )” The short play covers all the pages in the picture book. There are several benefits of using the short play to practice the language. First, it is a very vivid learning method combining both Chinese character reading and Chinese speaking. Second, the short play simulates a real situation for children to use the language. Instead of reading out the flashcard to the teacher, they get the chance of interacting with each other during the short play. In our previous picture book series, we introduced the use of picture books in our immersion program. As a matter of fact, picture books are also important learning materials in our Chinese classes for elementary students. One of the major goals of Chinese with Meggie’s elementary program is to develop children’s Chinese reading skills. However, instead of following Chinese text books, we make use of picture books. We find that a picture book makes the learning fun and flexible. Here is how we combine picture books with Chinese reading teaching. After each class, students are able to use Chinese flashcards to make sentences accompanying each page. They are also able to tell the story orally. Children are easily attracted to the picture books which makes learning fun. Also, since there are so many great picture books out there, the teaching becomes flexible. The most important of all, children are highly motivated after completing one book after another. In our previous two blogs, we have introduced briefly about the new program at Chinese with Meggie: the Advance Immersion. How does a Chinese class of this program look like? This blog is a snapshot about one of our classes on Butterfly. We have prepared 2 sessions for this theme. Each session lasts for 2 hours. The first session is focused on the body parts of butterflies. Children first finish a butterfly puzzle. Then they are given flashcards of “触角(antenna),” “复眼 (compound eye),” “足 (foot)” etc. They put the flashcards on the corresponding parts of their butterfly puzzle. Through this process, they listen to these new words and also see new Chinese charaters. Then they make a butterfly collage. During the craft-making, they review the vocabulary again. The second session is focused on the life cycle of butterflies. Children read one fiction and one non-fiction book on the topic. 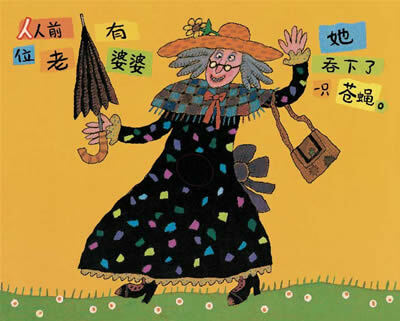 Through reading, they learn “蛹(egg),” “毛毛虫(caterpillar),” “茧(pupa),” “蝴蝶(butterfly).” To help them remember the four stages, there is a nursery rhyme with the four key words. Then it is the craft time. They make an egg on a leaf, a caterpillar, a pupa with paper. They stick the three items onto a paper plate along with the butterfly they made last class. Then they either copy, or stick the Chinese flashcards provided by the teacher onto the plate. The New Program at Chinese with Meggie: Advance Immersion (II) — Why and Who? We develop the Advance Immersion program for several reasons. First, we have several 4 to 5 years olds who have been in our Regular Immersion Program during the past several years. Through our Regular Immersion Program, they have are already capable of understanding classroom instructions, and can interact with teachers as regard to simple daily conversations. They need something new in class to boost their Chinese to the next level. Second, even though those 4 or 5 years old are ready for a boost in their Chinese, they are not ready for our elementary program which is designed for older children. Instead of learning through flashcard recognition, we think these 4 to 5 years olds need to learn through play. However, we need to provide more structured and complicated “play” than what we currently have in our regular immersion classes. Third, since those children have already developed their Chinese skills in our Regular Immersion Program. They are capable of being in a 100% Chinese classroom. Because of the above three reason, we think it is a good time to start the new program. Who are eligible for the Advance Immersion Program? At the end of each semester, we select children from our regular immersion classes. When selecting, we mainly consider a child’s maturity and Chinese skill. The child should be ready to learn something new and challenging in Chinese. The child should also be willing to commit some time outside of the classroom for their Chinese learning. This semester, we have started a new program called Advance Immersion. Four of our current students have begun a new journey of Chinese learning in this brand-new program. Unlike our Regular Immersion Program where classes are made up of independent short or long activities, Advance Immersion is theme-based. Children meet for 2 hours every week. They focus on one theme every 2 to 3 weeks. Under each theme, children participate in a series of activities and learn vocabulary related to the particular theme. Some possible themes include the Life of a Butterfly, Our Solar System etc. Through carefully designed curriculum, we hope children in this program can expand their Chinese vocabulary in a systematic way. There is another important feature distinguishes the new program from the Regular Immersion Program. Children are also exposed to Chinese character reading in Advance Immersion Program. They get flashcards of Chinese characters after each class. We hope children in this program think Chinese reading is fun once they start it. The New Program at Chinese with Meggie: Advance Immersion (II): Why and Who? It is easy for children to produce Chinese words, and not difficult to remember them. However, how to transit from simple Chinese words to phrases, or even long sentences? This blog is about how we help children build up simple elements to form complete sentences in our Chinese immersion classes. Since we have small class sizes, our teachers know clearly the Chinese level of every child. Depending on every individual student’s Chinese level, teachers push each one of them to the next level. Once a child begins to produce Chinese, we continue to push his/her language learning further by introducing things one level further. According to the “Input Hypothesis,” when learners are acquiring a second language, if “i” is their current level of competence, they naturally progress towards “i+1” which is the level immediately following the i1. Besides making sure that the language input is intensive during the 2 hours class, we also use repetitive and precise language in our Chinese classes to maximize the input effectiveness. Every activity has its own key words, phrases or sentences. Through repeating several key elements throughout one activity, the key elements are imprinted on children’s minds. For example, one simple activity we constantly use with our young toddlers is called “Animals Going Back Home.” In this activity, children put different animals into one toy house. One kind of animal occupies one room. Throughout the activity, our teachers repeat the sentence: “……动物回家。(…animal goes back to home. )” After the activity, children get to know the phrase “回家 (go back home),” and become familiar with different animal names. People believe that the more a child is exposed to a language, the faster and better the child will acquire it. It is true to some extent. A study done by Fred Genesee, the professor of psycholinguistics at McGill University in Montreal shows that in order to acquire a language, a child needs to be exposed to it for at least 30 percent of his or her waking time (as quoted in the article on New York Times). However, Fred also states that simply increasing the quantity of exposure time is not enough. The input must have a high quality. Each of our Chinese immersion class lasts for 2 hours. Depending on the number of sessions, every child has different lengths of Chinese exposure over the week. No matter how many sessions, when the quantity of Chinese language input is compared to the quantity of our students’ first language input, it is still relatively small. However, we believe that the quality of Chinese language input can make up for the small quantity. In the next two blogs, we will talk about how we increase the quality of Chinese language input in our Chinese immersion classes. First, the language input in our classes is intensive and understandable to students. Our classes are made up with activities. Some are as short as 5 minutes, while some are as long as 20 minutes. Activities help us create situations where children can interact with teachers and comprehend Chinese naturally. For example, the “Hide-and-Seek” game is popular with children. The first several rounds are always the teacher’s job to “find” the students. The teacher talks throughout the activity. When she closes her eyes and begins to count. She says: “闭上眼睛。我数。(Close the eyes. I count. )” When she is searching for the students, she says sentences such as: “我找**。**在不在这里？不在。(I am searching for **. Is ** here? No. )” Through constant talking, our teachers ensure that our children get comprehensible language input during every class minute. Besides the intensive language input, we also have other ways of increasing the language input quality in our Chinese immersion classroom. Please read our next blog on this topic. 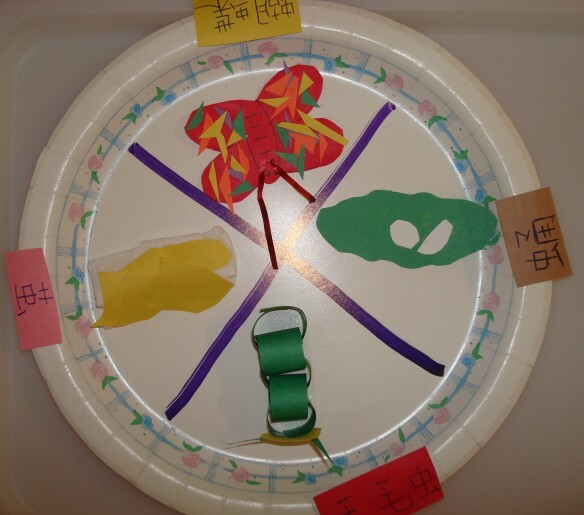 Recently at Chinese with Meggie Language School, we have begun to incorporate crafts into our Chinese class curriculum and find that craft projects work well in our immersion classroom. First, the process of making crafts is very attractive to children. Second, since we use crafts as supplements to our existing curriculum, the process of craft making is served as a content-rich learning opportunity. Since it involves a lot of interactions between students and teachers, students are benefited linguistically from crafts making projects. The following is an example of our Halloween craft project created by one of our teachers: the Different Faces of a Pumpkin. It has been conducted in our immersion classes with children over three years old. The learning goals of the pumpkin craft include: 1). Children will be able to say the following words related to facial expressions in Chinese: 哭(cry), 伤心(sad), 笑(laugh), 开心(happy), 生气(angry), 累了(tired), 睡觉(sleep). 2). Children will be able to name two colors: 橙色(orange), 黑色(black). 3). Children will be able to understand some actions phrases such as: 贴一贴(stick together), 上颜色(color it) etc. To warm up, we first read a picture book on facial expressions in class. Then we show six pumpkin samples with different facial expressions and explain to them one by one. 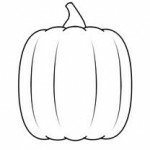 Afterwards, they are provided with several blank paper pumpkins and told that they will color them and draw facial expressions on these pumkins. Each child chooses three to four expressions they want to make. Finally, they chain the pumpkins together as a necklace.